Don't miss your chance to own the farmhouse of your dreams! Nestled on a full 5 acres, this horse property has everything you could want in an acreage. Updated eat-in kitchen with gas stove will make meal prep a breeze. Living room is the perfect place to relax with natural light and vaulted ceilings. Keep warm with this winter with the wood burning stove. Custom barn door adds plenty of extra charm and privacy! Master bedroom feels like your own private retreat with plenty of space, vaulted ceilings and attached bath. Five piece master bathroom is spacious with his and hers sinks, soaker tub and modern decor. Bonus family room complex with gas fireplace and air conditioning is the perfect place to cool off in the summer or use for a kids playroom or man cave. Enjoy Colorado's 300+ days of sunshine on the outdoor patio. Plenty of workshop space for the mechanic or craftsman in the 6 car garage complete with concrete floors and it's own breaker panel. 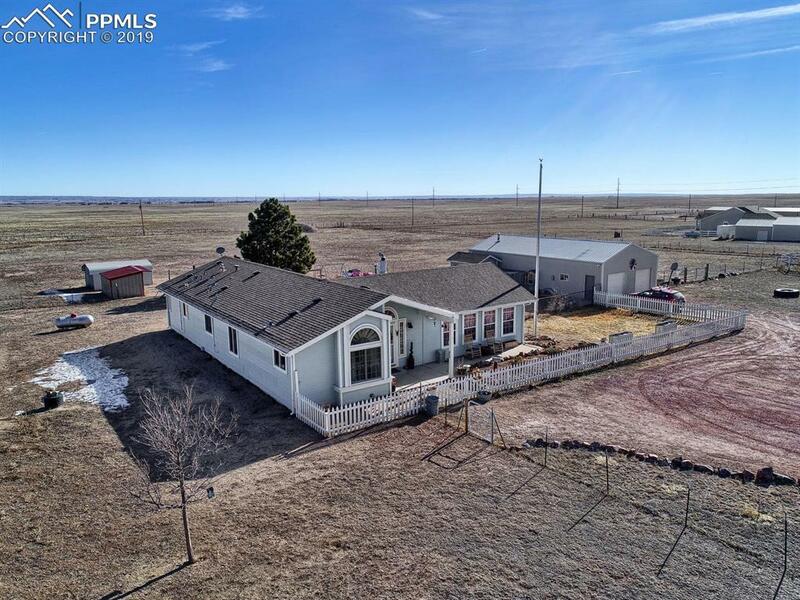 Property also come with a loafing shed, horse round pen corral, and rodeo lights for the the horse enthusiast. And what farm would be complete without a chicken coop! Don't miss your chance to make this dream farmhouse yours today!